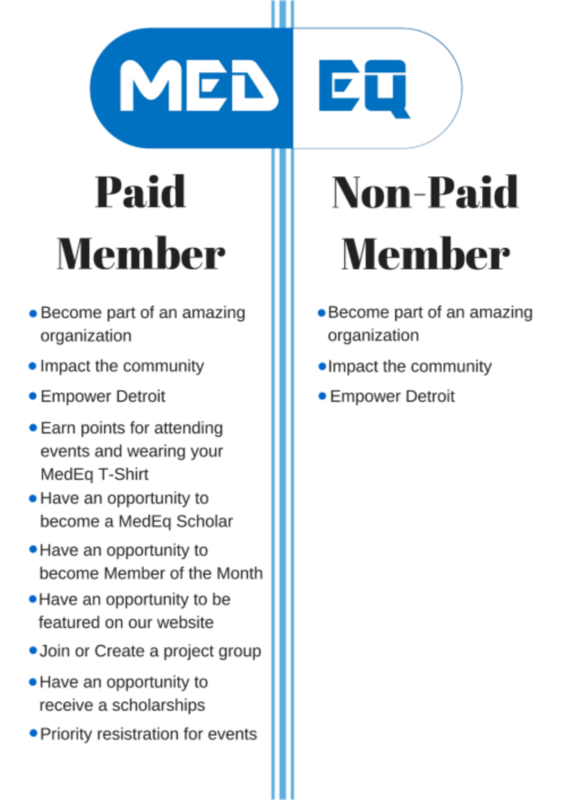 If you are interested in joining MedEq in the Wayne State Student Chapter, you can either join as a paid or a non paid member. To register as a paid member at the WSU chapter, please attend one of our events and pay your dues. If you are interested in joining MedEq, we are currently just running the website and have not established many events aside from Wayne State's Chapter events. Please either subscribe to our blogs and keep in tune for expansion plans, or contact us to register as a paid member and you are welcome to attend any meetings or events that we do.